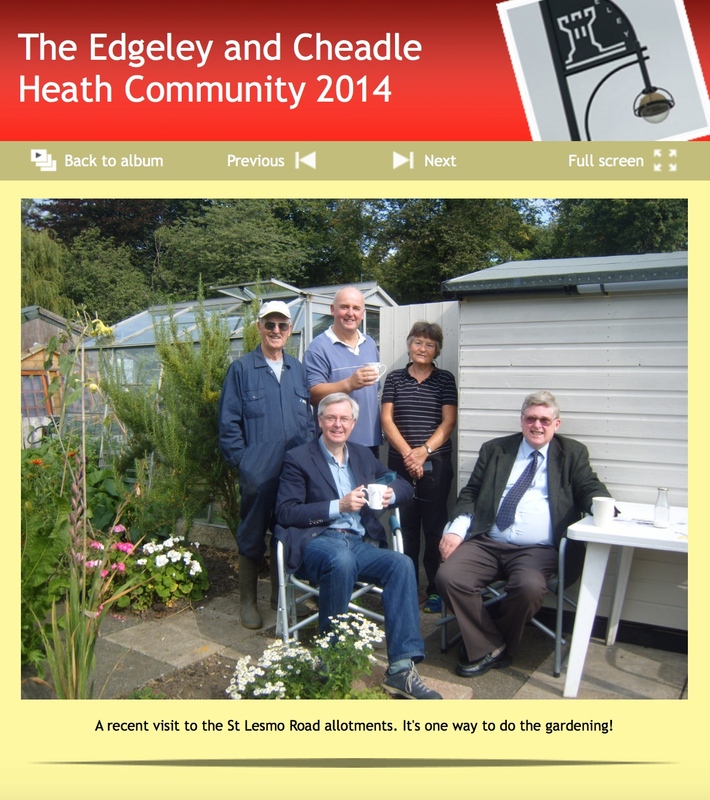 We are a friendly site in Edgeley. 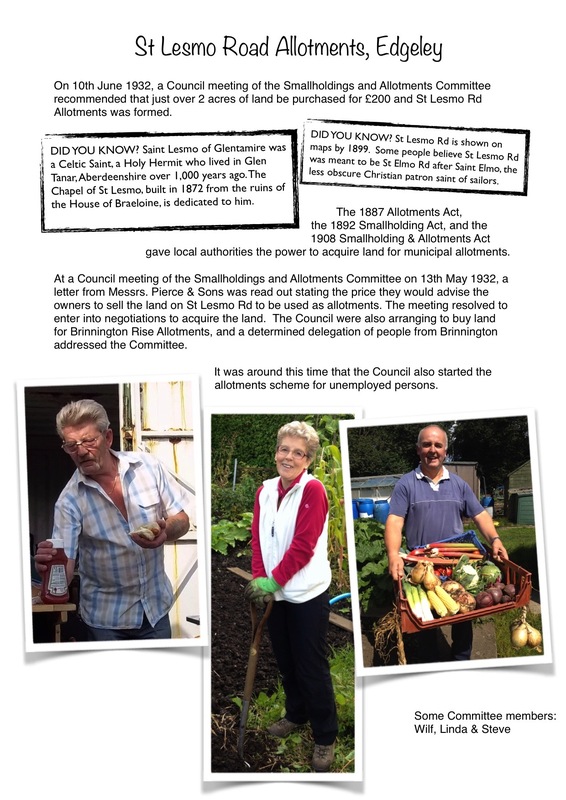 St Lesmo Road Allotment Association holds an annual bar-b-q in the Summer and a hotpot supper on Bonfire Night. Plotholders, family and friends join together for a great get-together. We recycle leaves and horse manure to keep plots well nourished, and woodchippings to keep the paths from getting waterlogged in Winter. We also keep the trees well trimmed on the road outside the site. 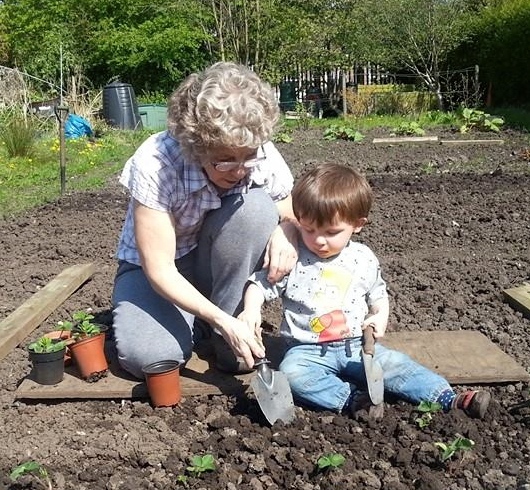 Children from Cheadle Heath Primary School visit our site – they measure plots, identify vegetable plants, learn how to make compost and plant seeds to take home and grow. 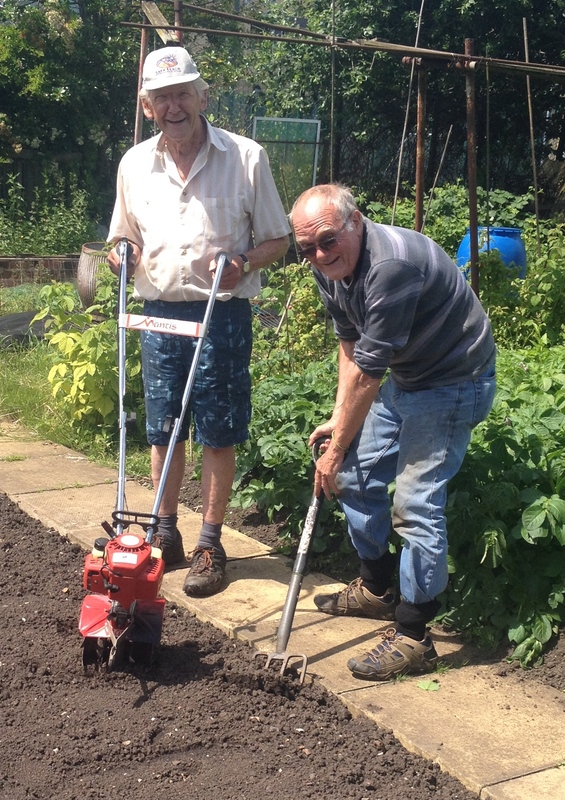 Plotholders give advice, donate vegetable seedlings for the school allotment beds, and visit the school to help plant them. 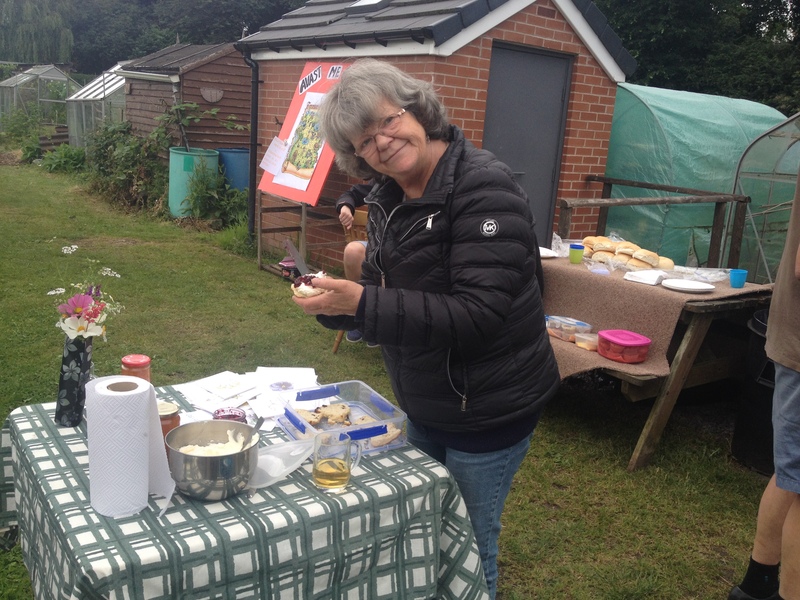 In 2015, plotholders were invited to the school for lunch – thank you for the delicious allotment soup and cheesecake. 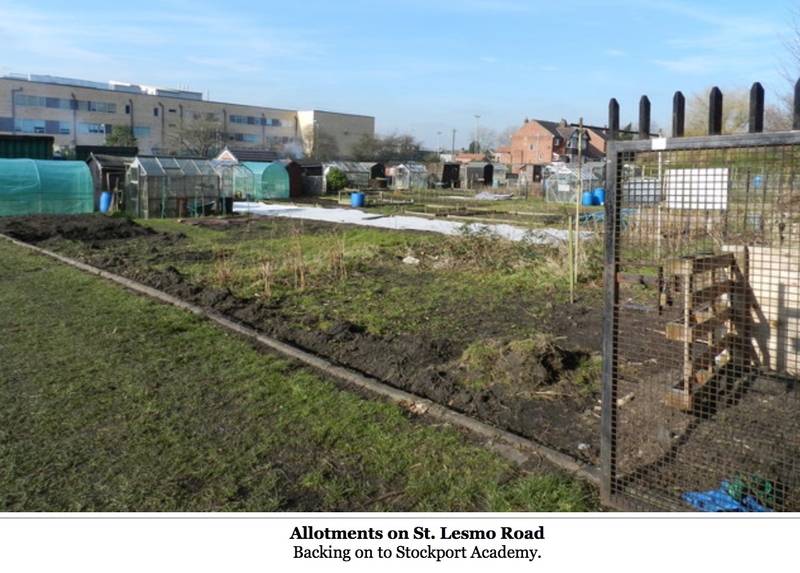 And some plotholders are donating plants and helping Stockport Academy to set up a Reflective Garden. 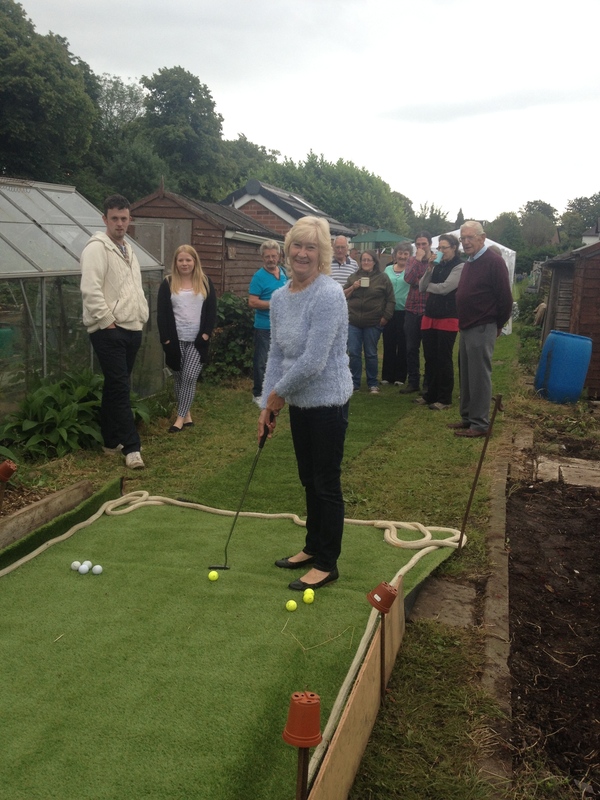 Contact Linda Roberts 07941 202043, Rick Garner 0161 282 1069 or slrallotments@gmail.com to put your name on the waiting list for a plot here. 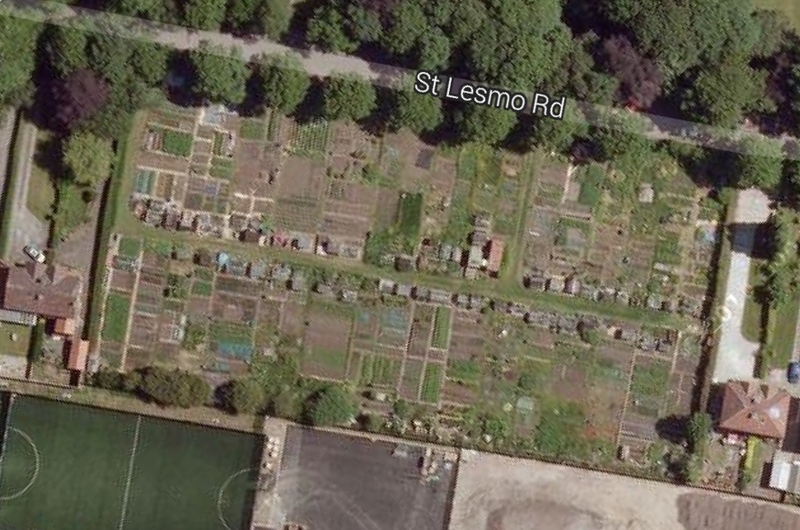 I remember the first day we were invited onto St Lesmo Rd allotments to view one of two plots up for the taking, after having to let go of a plot I held on another site and missing having a plot to tend to, my partner put our names straight back on the waiting list. We finally got a call two years later in the winter from a “Mr Garner” the site secretary and it was then I immediately knew this was going to be a good site. We had to choose from two vacant half plots, both in need of a bit of TLC and both showing signs of an acid soil with compaction, causing surface run off that was expressed by the prevalence of numerous docks, dandies & some dreaded mares tail and an area that was slow to drain after heavy rain. After weighing it up the potential carried far beyond the small problems the plot showed, that could be put right with a bit of hard work, I like a challenge!!! 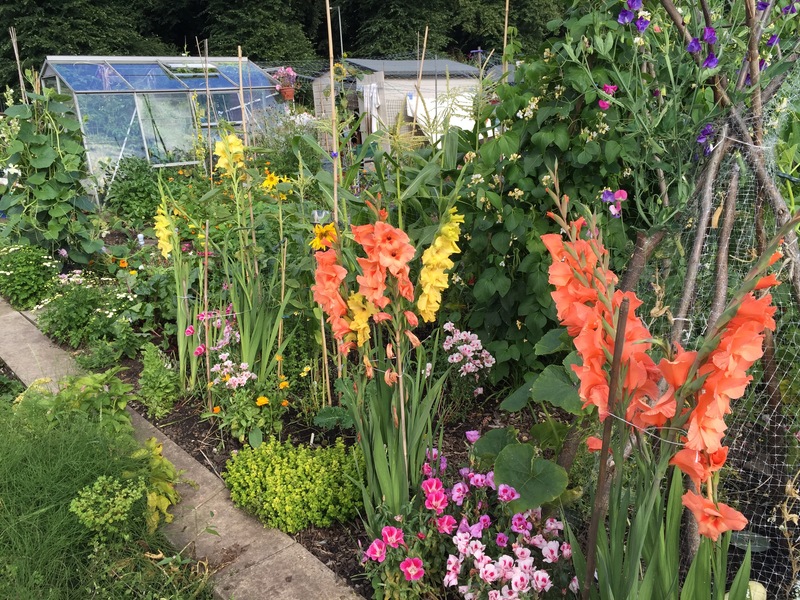 We chose the plot that was nestled in amongst the middle area of the site which to our delight had a poly tunnel and next door both a shed and a greenhouse, It didn’t take much weighing up as the soil was rich, even if it did lack air. The overall aspect is that of a nice open plot with good protection being offered at one end for tender crops by strong hedging. We left with a set of keys and the biggest swede we have both ever seen amongst some other stuff…….and obviously the biggest smiles on our faces. 16 months later, after lots of sweat, blood & blisters (and loud outbursts of the odd profanity), we have gained the adjacent half plot to give us a full plot which we have managed to tame all but the wildest area’s of soil. Our plot still has in parts a ready army of dock seeds in the soil’s seed bank waiting to war with our spades and a slight spaghettification of bind weed creeping in from the roadside hedges, but over all the soil is in very good condition and has so far supported the biggest heads of calabrese we have ever grown, without so much as an ounce of fertilizer. 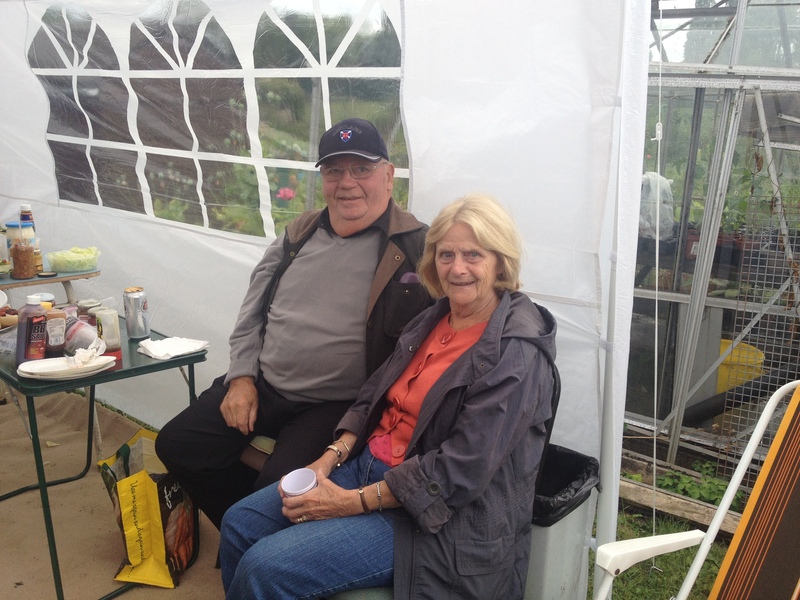 We have become acquainted with most of the other plot holders who make up pretty much all walks of life and all carry that strong passion for producing the tastiest veg they can for themselves and their family. 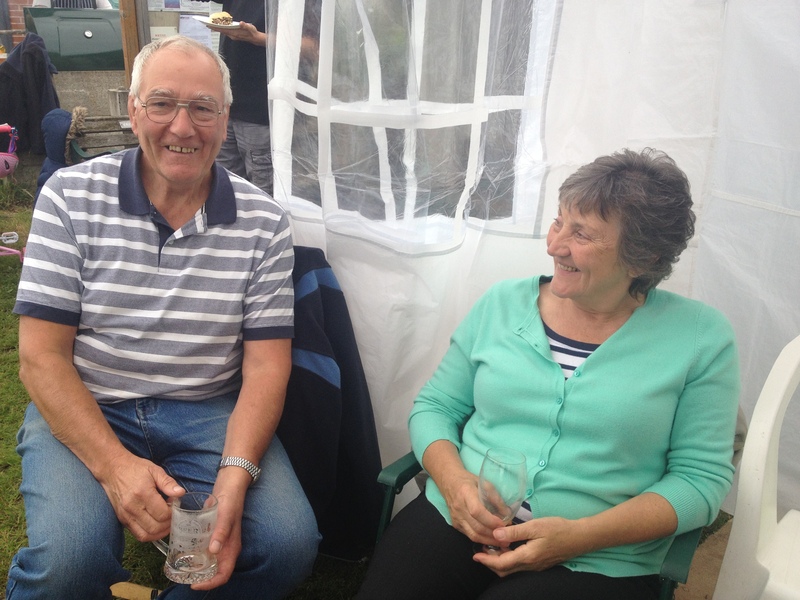 The people who make up the site are very friendly, very sharing and their combined knowledge is encyclopedic which has given its benefits to our plot on more than one occasion. 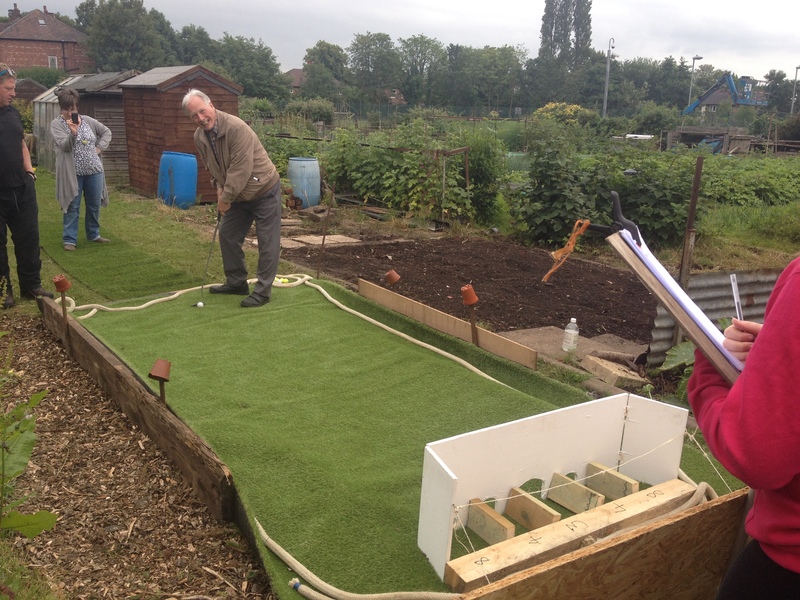 Its worth mentioning that there is a brew club for those who want to join, a shop that is very well stocked, good value for money and there is use of a petrol strimmer, rotorvator and an assortment of tools and safety gear available. There is a nice new clean toilet that has recently been built which is accessible to people with a disability. 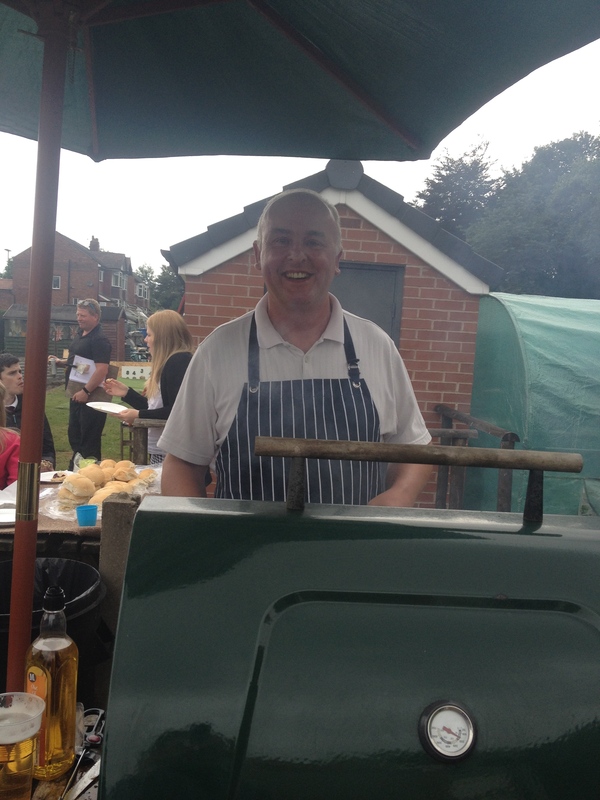 We have attended the barbeque last summer which was great fun and included some very funny games provided by Ian & Joe. 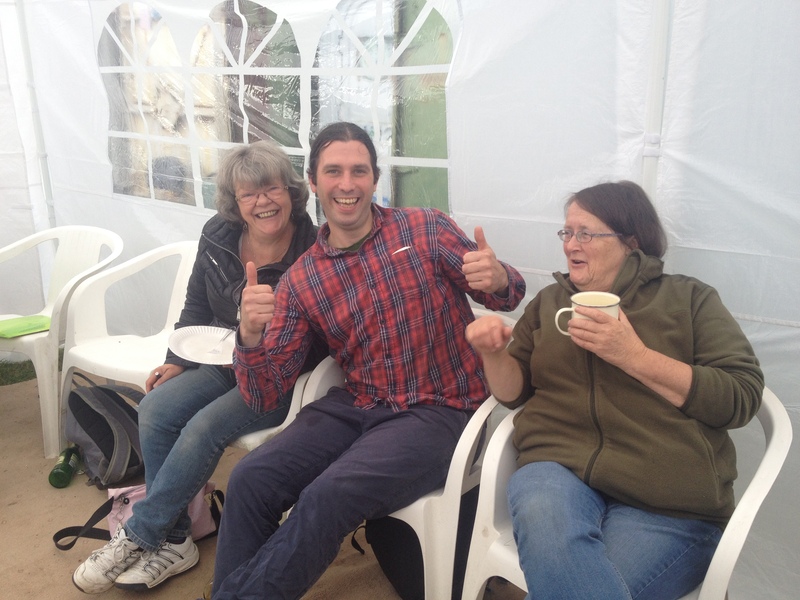 There was a good selection of food and drink provided and some hard working volunteers whose cooking & preparing allowed plot holders that only meet on occasion to break the ice while offering a good catch up for the rest. 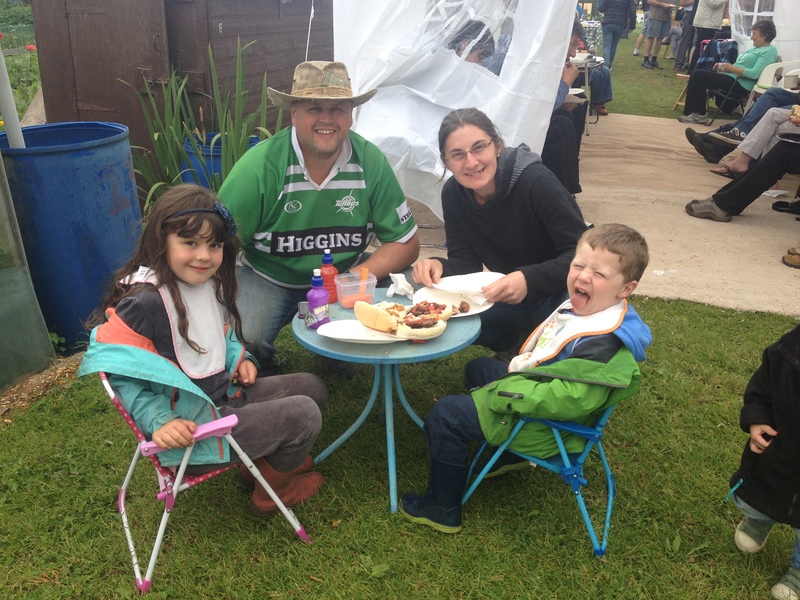 The bonfire night extravaganza brought a lot of plot holders together again as its preparation demanded a team effort and even the bad weather forecasted for this event did not seem to deter the fire stalwarts only to happy to keep the bonfire topped up in heavy rain. Its a great pleasure to have a plot on this site. Thanks for your article on this weblog. From my own personal experience, often times softening way up a photograph may provide the wedding photographer with a bit of an inspired flare. Often however, this soft clouds isn’t just what exactly you had as the primary goal and can in many cases spoil a normally good photograph, especially if you intend on enlarging it.